You can turn to Renewal by Andersen® for top quality, energy efficient windows and doors that will save you money on your monthly heating and cooling bills. As energy costs continue to rise, it is important to limit the amount of energy you use when heating, cooling, and lighting your home. Renewal by Andersen replacement windows and doors utilize advanced frame and glass materials in order to help limit the amount of energy you use each month to keep your home comfortable. 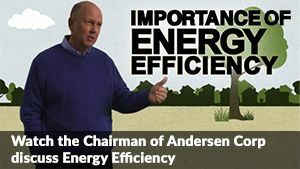 To learn more about Renewal by Andersen’s energy efficient windows and patio doors, homeowners can call Renewal by Andersen of New Jersey-New York Metro at (800) 577-7744. You can also fill out our convenient online request an estimate form to schedule a free, in-home consultation in New Jersey and New York.